Ever wanted to write a short story about New Orleans mischief and mayhem circa 1889 Christmas? Here are a few killer ideas to get your story started! HINT…these ideas might be used for any locale in any era. 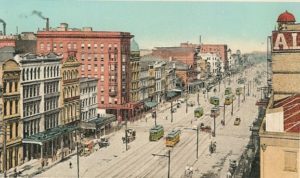 Gilded Age New Orleans: So much more than hookers, hurricanes, and Mardi Gras! Although late 19th century New Orleans was renowned for the hookers of Storyville, the devastating hurricanes of the 1880s, and the elevation of Mardi Gras to a state holiday, there’s so much more to know about the Crescent City during this time! For starters, there was an assassination that was followed by lynchings (1890), an all-out political insurrection (1874), and a riot that killed 28 people (1900). 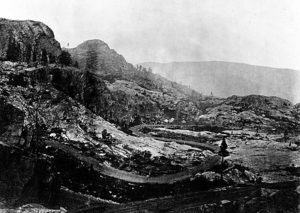 There were duels in City Park and gunfights on Canal Street. There were too many bankruptcies, lottery swindles, and drunken sailors to count. And every year there was a long, hot summer and the constant threat of yellow fever or other maladies. With a quarter of a million citizens and ships from the mighty Mississippi river depositing strangers in the city every day, someone was always causing trouble for someone else. 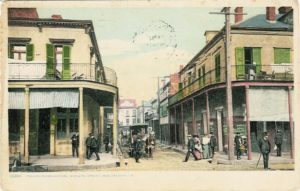 Truly, Gilded Age New Orleans is a dream city for a historical mystery writer! But back to summer…when the heat truly hit in late May, New Orleanians of means retreated to breezy coastal cities in Louisiana and Mississippi. During this “dull season”, those citizens who remained in town stocked their iceboxes, lightened their wardrobes and rooms with cotton fabrics, and, as advised by the daily newspapers, stopped working by 3pm. And into this humid, hot mess of a city I toss my heroine, Fanny Newcomb. And ask her to solve a murder. 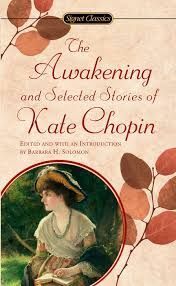 Twenty-five and learning to make a living on her own, Fanny finds herself teaching typewriting to the hard-working factory girls of the city’s Irish Channel neighborhood. It’s a grim life. 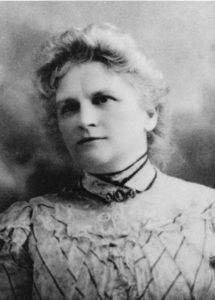 Fortunately for Fanny and her crew, in addition to the problems mentioned above, New Orleans was also the entertainment oasis of the South. 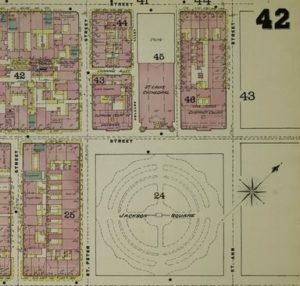 Throughout the late 19th century, New Orleanians reveled in what the city maps called Places of Amusement. For grand music, they attended the French or Grand Opera Houses or the Academy of Music. For dramatic entertainment, they visited the St. Charles, Avenue, or Faranta’s Theatres, stages where Edwin Booth and Sarah Bernhardt both made appearances. For a peak at circus curiosities or a bit of common sensationalism, they bought a ticket to Robinson’s Dime Museum. Horse lovers and gamblers alike visited the Fair Grounds, home of the Louisiana Jockey Club and their racecourse. 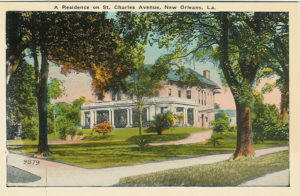 New Orleanians in need of a quiet place for contemplation could visit a former racecourse, because the 1830’s Metairie Race tack had been transformed into the elegant and fashionable Metairie Cemetery after the Civil War. 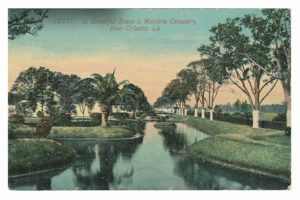 Even in traditionally laissez-faire New Orleans, a cemetery could not be called a Place of Amusement, but because the city had above-ground burials, many of the cemeteries did become celebrated centers of beauty and relaxation. When New Orleanians tired of the hustle of the Canal Street business district or the bustle of the Mississippi river roustabouts, they retreated to resorts on Lake Pontchartrain, only a few miles from the heart of the city. 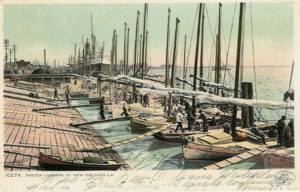 The “pleasure grounds” of Milneburg, Spanish Fort, and West End offered a variety of hotels, restaurants, casinos, theatres, shooting galleries, and bathhouses. A visit to New Orleans was never considered complete without a “trip to the lake”. Many New Orleanians were more charitable than cultural. 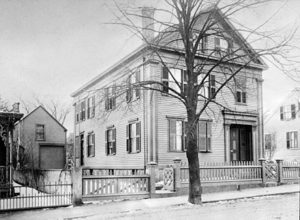 Like all large American cities in the late 19th century, the city was home to churches, synagogues, charity hospitals, Young Christian Associations, a Woman’s Exchange, and—most vital to Fanny Newcomb’s story—a settlement house to assist immigrants in assimilating to their strange and dangerous new city. Fortunately for me, there is a lot more to Gilded Age New Orleans than hookers, hurricanes, and Mardi Gras. Which means that there’ll be a lot more murders for Fanny Newcomb to investigate. This blog post was originally posted on Jenny Q’s excellent letthemreadbooks.blogspot.com. If you’d really like to win an autographed copy of Fanny Newcomb and the Irish Channel Ripper…head over to Amy Bruno’s Historical Fiction Virtual Book Tour. The Giveaway ends around March 19. AND…check out my book tour schedule. Fun for all! On January 28 I’ll be sharing ideas on “Writing a Killer First Chapter” with the Redwood Writers (a Branch of the California Writers Club) in Santa Rosa. Here are some links with more info….